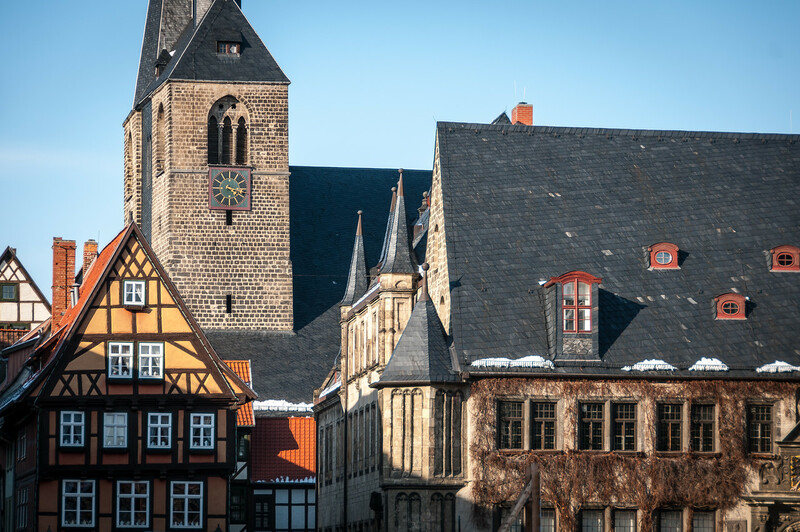 The importance of Quedlinburg rests on three main elements: the preservation of the medieval street pattern; the wealth of urban vernacular buildings, especially timber-framed houses of the 16th and 17th centuries, and the important Romanesque collegiate church of St Servatius. The original urban layout is remarkably well preserved: it is a classic example of the growth of European medieval towns. The history of the medieval and early modern town is perfectly illustrated by the street pattern of the present-day town. 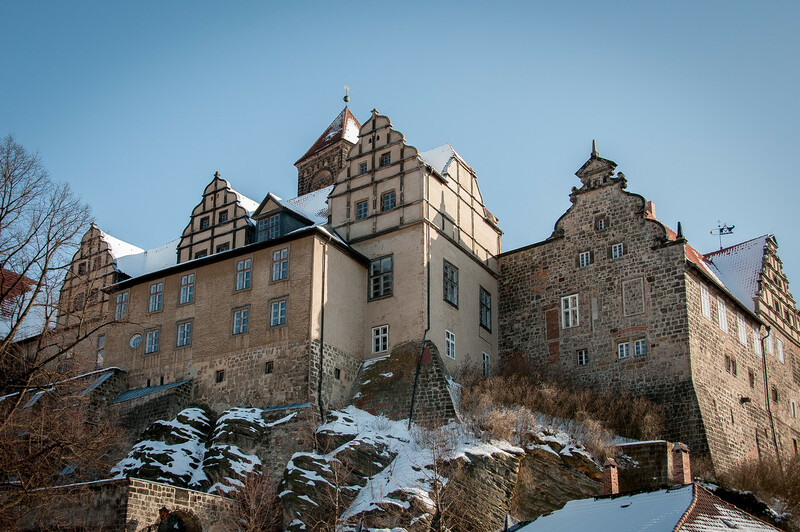 Situated in a hilly region to the north of the Harz Mountains, villa Quitilingaburg is first mentioned in 922 in an official document of Henry I (the Fowler), who was elected German King in 919. The town owes its wealth and importance during the Middle Ages to Henry I and his successors. On the death of Henry I in 936 his widow Mathilde remained in Quedlinburg at the collegiate church of St Servatius on the Castle Hill, founded by Henry’s son and successor Otto I as a collegial establishment for unmarried daughters of the nobility. Westendorf, the area around the Burgberg, quickly attracted a settlement of merchants and craftsmen, which was granted market rights in 994. Several other settlements also developed in what was to become the early town center, which was granted special privileges by the Emperors Henry III and Lothar IV in the 11th and 12th centuries. 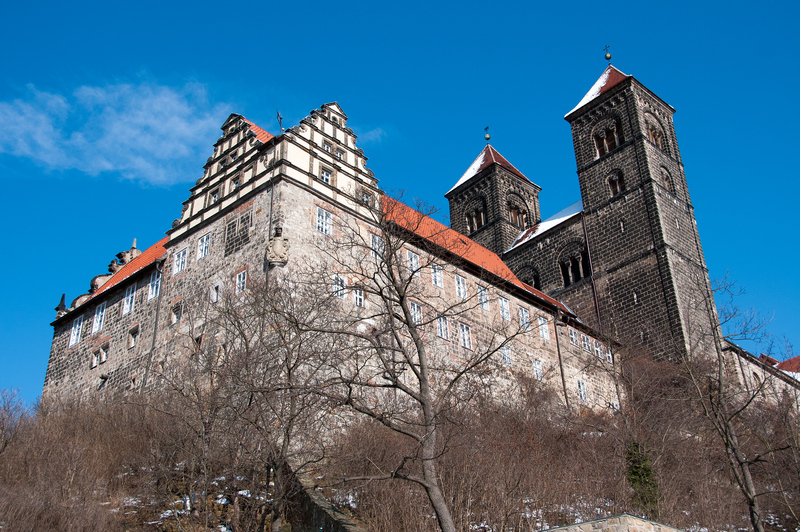 A Benedictine monastery was founded in 946 on the second hill, the Münzenberg. The Quedlinburg merchants were given the right to trade without restriction or payment of duties from the North Sea to the Alps. The resulting prosperity led to a rapid expansion of the town. A new town (Neustadt) was founded in the 12th century on the eastern bank of the river Bode, laid out on a regular plan. It is the burial site of Otto I, the first Holy Roman Emperor. The town of Quedlinburg is one of the best preserved old towns in Germany as it was not bombed in WWII and there was little renovation done by the East German government after the war. The cathedral was the site of a bizarre Nazi shine that venerated Otto I and his father King Henry I as the beginning of a golden age for Germany. They attempted to turn the church into the seat of a new Nazi religion that never quite caught on. Millions of dollars in artifacts were stolen from Quedlinburg after the war by an American soldier, Joe Meador from Texas. He mailed home a jewel-covered bible belonging to Henry I that he found in a nearby cave. The bible sat in his house until his death when his brother took it to a flea market to sell it for $500. (It was worth several million). All of the stolen artifacts were return to Quedlinburg and are now on display. Quedlinburg is probably the best-kept secret in German world heritage sites and well worth a visit. The Collegiate Church, Castle, and Old Town of Quedlinburg is a cultural UNESCO World Heritage Site. It is located in the town of Quedlinburg in the Harz district of Germany. The site was inscribed into the UNESCO list in 1994. It was originally deferred in 1990 due to the lack of clear definition as to which area would be covered as the UNESCO protected area. The town of Quedlinburg was recognized by UNESCO for its medieval origins and heritage that have remained intact today. In fact, exploring the town of Quedlinburg would mean that you will find several high-quality timber-framed buildings throughout the town. Historic Town: This historic town is protected by city walls, which is a common feature of a medieval town. The old town originated in the 10th century while the new town originated in the 12th century. 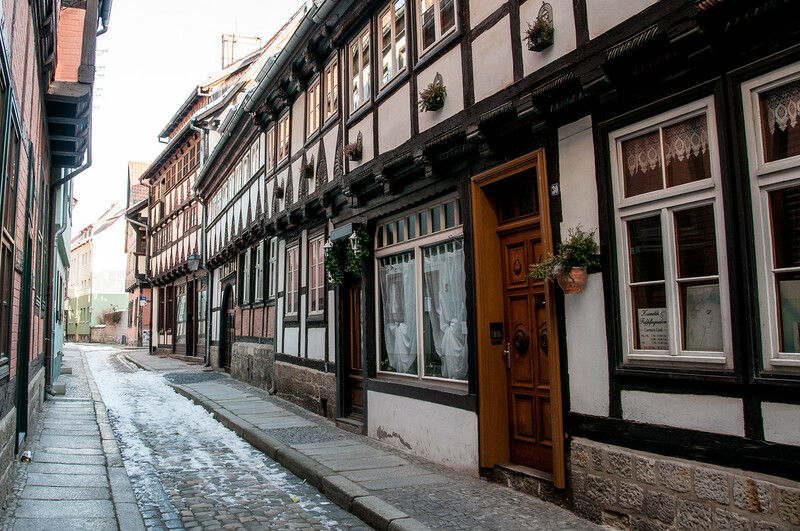 These two historic towns are composed of fine medieval buildings that reflect the economic boom that Quedlinburg experienced during the 16th to 17th century. Westendorf District: This part of Quedlinburg is where the castle hill is located. This is also where you will find several other notable tourist attractions such as the collegiate church of St. Servatius and the Imperial buildings. St. Wipert’s Church: You will find the crypt inside the church that dates back to the ca. 1000. Munzenberg: This part of the town is known for being traditionally poor. It is composed of 60 small timber-framed buildings. The Collegiate Church of St. Servatius is currently one of the most popular tourist attractions in Quedlinburg. It is also part of the UNESCO site Collegiate Church, Castle, and Old Town of Quedlinburg. It is used as the performance venue for the Quedlinburg Summer of Music. The church is located on Castle Hill, which makes it the most prominent building in Quedlinburg. If you would like to explore more of one of Europe’s Renaissance and Medieval towns, you can go to the market square. You will find the Roland statue and the Renaissance town hall. The churches and castles rise above the town that also serves as symbol to how they dominated the town during the Middle Ages. According to UNESCO, the Collegiate Church, Castle, and Old Town of Quedlinburg reflect the architectural splendor of a European town during this era. 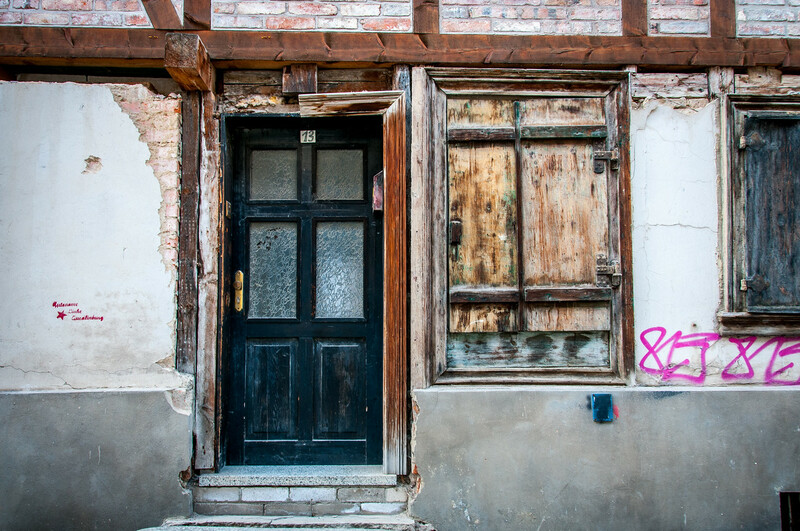 There are around 800 houses in the town that are considered as important monuments in the tow. Aside from its architectural splendor, these buildings and structures also showcase different styles and periods that have influenced the town.